The nations premiere sand drag racing track! It is both the vehicle owner and driver’s responsibility to maintain their vehicle. The Track’s main responsibility is to provide a safe facility to conduct racing. Total cooperation between the driver and the track for the safety of each individual is of the utmost importance. Standards for safety are contained in this rule book for the benefit of a safe race. © 2017 West Michigan Sand Dragway (WMSD). All rights reserved. 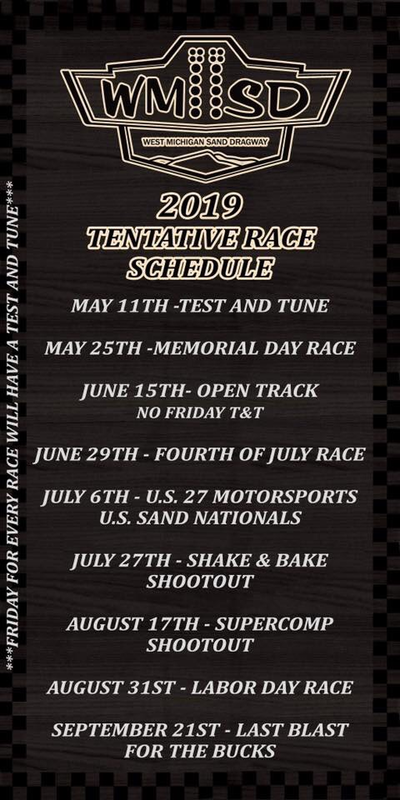 - American Sand Drag Assoc.